Nothing in life is really perfect but Tectus certainly comes close. 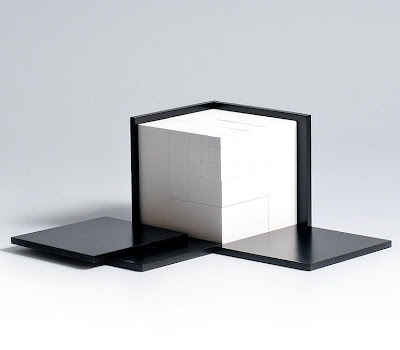 Naef Tectus is Swiss minimalism redefined. Looking for the ultimate modernist minimalist architectural toy? 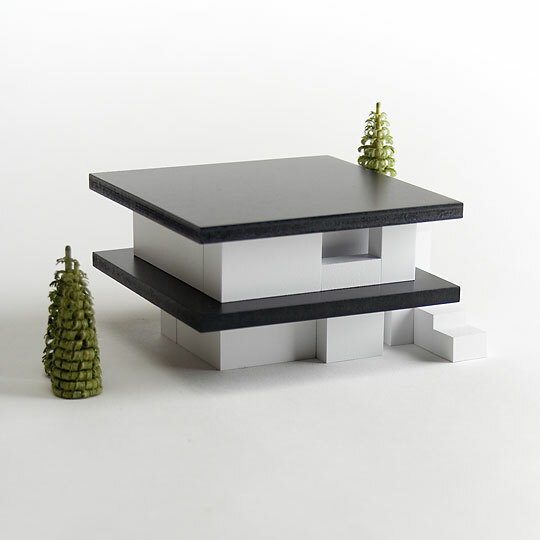 This ultra modern Swiss building block toy is a most perfect gift for aspiring architects, both young and old. 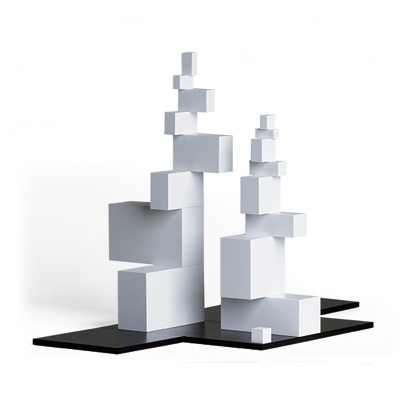 Create your own architectural masterpiece with Tectus made by Naef in Switzerland. This white wooden cube is divided several times in adherence to the golden ratio and surrounded by black shapes. 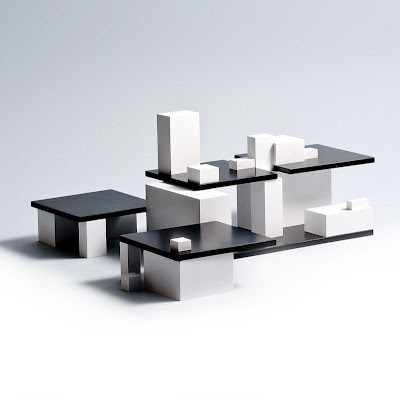 During play, these become foundations, walls or roofs and a player the architect. Everything fits into each other harmoniously. 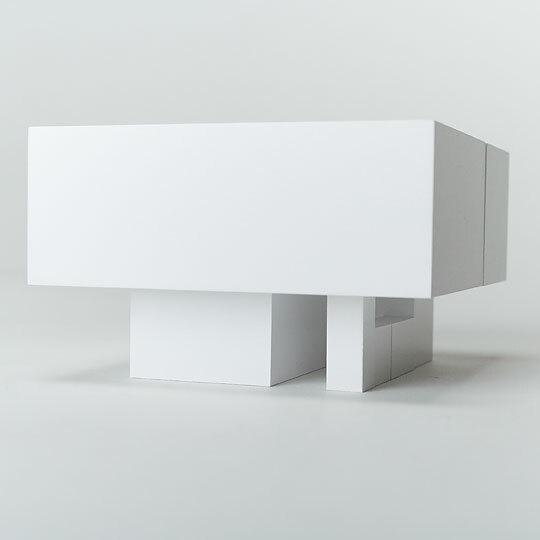 If you love minimal modern architecture by Mies van der Rohe, Le Corbusier, Philip Johnson and Richard Meier, you will appreciate this beautiful wooden toy. You can even configure it to look like a Frank Llloyd Wright Taliesin floor lamp. With endless possibilities, this minimal architectural toy offers abundant construction ideas that are only limited by your own imagination. 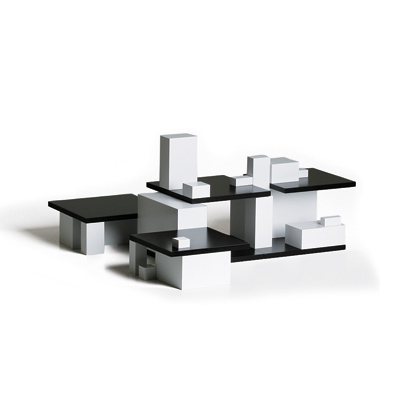 Build your own icon of modern architecture with Tectus by Naef. A beautiful Swiss wooden toy.